This is a quilt I made for a Student Assistant in our office. She met her husband at the University of North Florida and were married a year ago. I had everyone in our office sign half a block with well-wishes for a happy life together. 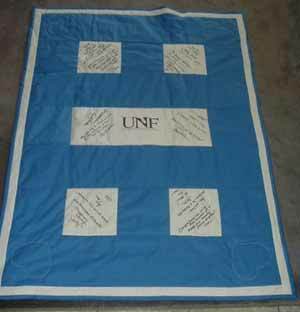 I quilted hearts in each corner and printed out the universities logo for the center block.